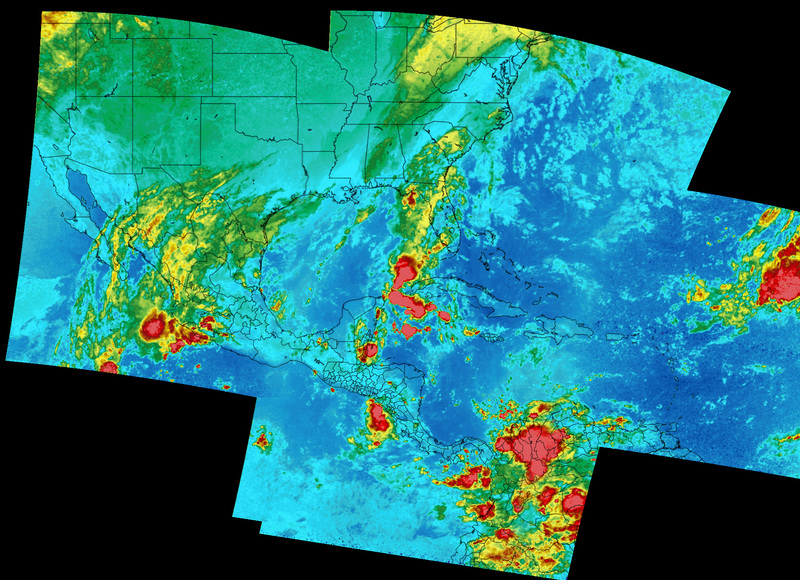 Wide Area Composite Picture from NOAA APT Imagery by Raydel Abreu Espinet of Havana Cuba. 12m RG-11 low loss sat TV coax. Super size image. On 30th January 2013 Steven Ross in cooperation with others managed to aquire an APT image covering nearly half an orbit. (Arctic Ocean to Cape Horn). "Here it is the image you all were waiting for. The one and only extra long Super image. Again I like to thank in no particular order Lourent Thomin, Ronnie Nader from the Agencia Espacial Civil Ecuatoriana (EXA) for the use of their satellite HERMES-A/MINOTAUR a Internet-to-Orbit gateway (I2O), Jos� Morales, Raydel Abreu Esponet, Alberto Petruccelli, Marcelo Razz, Alan Hinton, and my wife Carol for her moral support. Thanks all for your support."